With the rapid growth of serviced office and coworking space in Jakarta, you might be spoilt for choce when it comes down to making a decision on with serviced office or coworking space to choose in Jakarta. A comfortable workspace is a key factor to employee productivity and satisfaction, so it is important to weigh your options carefully before deciding on an office space. Here are some things to look out for before deciding on a serviced office or coworking space in Jakarta to set up your base from. Does the Serviced Office or Coworking Space Provide an Appropriate Atmosphere for Your Business? 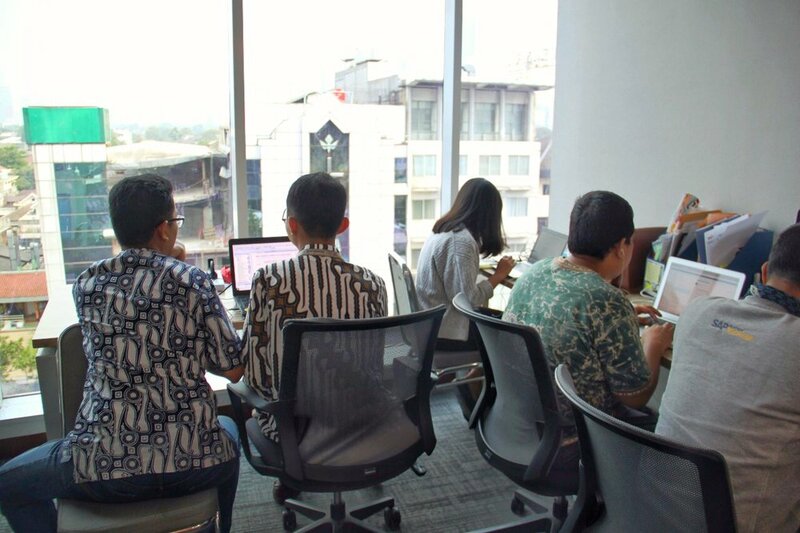 A common stereotype about serviced offices Jakarta are that serviced offices are merely cold lifeless glass offices, while on the other hand, coworking spaces are built specifically for tech startups run by milenials. While not always true, there is some truth behind this stereotype. For instance, some coworking spaces place a huge focus on community and events that some people find too distracting, while some serviced offices lack a sense of community and support that some startups are looking for. Be sure to know that the serviced office or coworking space fits your company’s culture and needs before making your decision. HERE AT AVENUE8, WE COMBINED THE SOFT COLORS OF SCANDINAVIAN DESIGN WITH INDONESIAN WOODEN FLAIR TO CREATE A LUXURIOUS, COZY, YET PROFESSIONAL SETTING FOR YOUR BUSINESS. Is it Easily Accessible for All Employees? Common facilities provided in coworking spaces and serviced offices in Jakarta are fully furnished offices, state of the art meeting facilities, coworking and collaborative spaces, free wifi, phone booths, free flow coffee tea water, printing, photocopy, scanner, and more. However, not all facilities are created the same! For instance, in terms of free flow coffee and tea, some coworking spaces and serviced offices simply provide coffee powder and hot water, while some other provide gourmet coffee machines. Before signing that contract, be sure to know what facilities are included in your plan and what facilities are not. For instance, some serviced offices may charge an overtime charge for your team members to work past the published office hours or on weekends. Some others charge for little things such as free flow refreshments, meeting equipment rental, printing and more. In some cases, the monthly rental can be low but the serviced office or coworking provider might charge hefty fees for facilities rental. It is important to try to predict what your team members need and their potential use patterns to prevent breaking the budget on extra facilities charges! Some coworking spaces and serviced offices in Jakarta provide other additional perks that may or may not be fully advertised. For instance, here at Avenue8, we provide free concierge service to all of our members; from brewing your favorite morning coffee to running simple errands, just let our team members know and we will make it happen for you! Some other coworking spaces and serviced office in Jakarta also provide additional services such as secretarial, legal, translation services. Be sure to know all the little services provided by the coworking space and serviced office operator you end up choosing. Sometimes, all you have to do is ask! The number coworking spaces in Jakarta have mushroomed over the past year. Each coworking space has its own unique character to cater to different needs. Some coworking spaces are catered towards millenials, some cater to specific industries, and some others are all about community and community events. With so many coworking spaces Jakarta options to choose from, here are are some reasons why you should pick Avenue8. We realized that the little errands we have to run during our workday can potentially be time-consuming and add unnecessary cognitive load to our brains . Hence, we designed Avenue8 Concierge to help our members with the little things in their lives, so they can fully focus on their work. From brewing your morning coffee fix to making dinner reservations, just let us know and we will make it happen. Click here for the list of services we offer through Avenue8 Concierge. Are you the type of person who cannot stand being at your desk all day? Then Avenue8 might be the coworking space for you. Our location boasts 2 separate coworking area with different ambiences to help you keep things fresh! Need a quiet space to focus on your thoughts? Take advantage of our focus room to let your ideas and inspiration come to live. Need to take a private phone call? Our private phone booth is at your service! Sharing an office with other companies does not have to mean losing privacy. Here at Avenue8, we take your privacy and security very seriously. All of our private offices are equipped with state of the art access control system. Our premises are also well surveilled by CCTV cameras, while not compromising the privacy of your private office. Meeting Rooms are the heart of an office. A good meeting room is not only the face of a company, but it is also where the best discussions and ideas are born. Here at Avenue8, we have several meeting rooms and event space with different ambiances to accommodate different events and functions. We have a formal meeting room where you can meet important clients, a more casual meeting room that you can use to hold internal meetings, a large event space to host workshops or classes and so on. Our versatile meeting rooms and event space can also be customized based on your event requirements at no extra charge! One of the advantages of working in a coworking space or serviced office in Jakarta is the ability to set up your office in the CBD without having to pay huge rents or invest a significant amount of time and money on office fitting out. Conveniently located on Jl KH Wahid Hasyim, in the prestigious Central Jakarta neighborhood of Menteng, we are only steps away from Jl MH Thamrin, Sudirman, and various embassies and government buildings. Menteng is also an expat hotspot, which boasts a huge array of world class shopping, dining, and entertainment options. Our building is free from odd-even restrictions and can be easily accessed via public transportation; we are walking distance away from Gondangdia KRL station, Sarinah Transjakarta Station, and the future Sarinah MRT Station. Need answers to a legal question but don’t know who to ask? Need to set up a new company or renew your company domicile but don’t know where to go? Just let our friendly community manager know, and we will put you in touch with our legal partner, Legalgo. Through our partnership with Legalgo, all Avenue8 members get to enjoy free legal consultation and discounted fees for a range of legal services. All Avenue8 members will get free access to 168+ coworking spaces worldwide via Loop.Space. Whether it is a day trip to Singapore, a week long business trip to Hong Kong, or a month long vacation to London, all Avenue8 members will have a workstation wherever they go. With the sheer number of coworking spaces, serviced offices, and other meeting room providers in Jakarta, you can be spoilt for options when it comes to finding meeting rooms in Central Jakarta. However, not all meeting rooms are created equal. Here is a guide to choosing the perfect meeting room that will not break the budget. 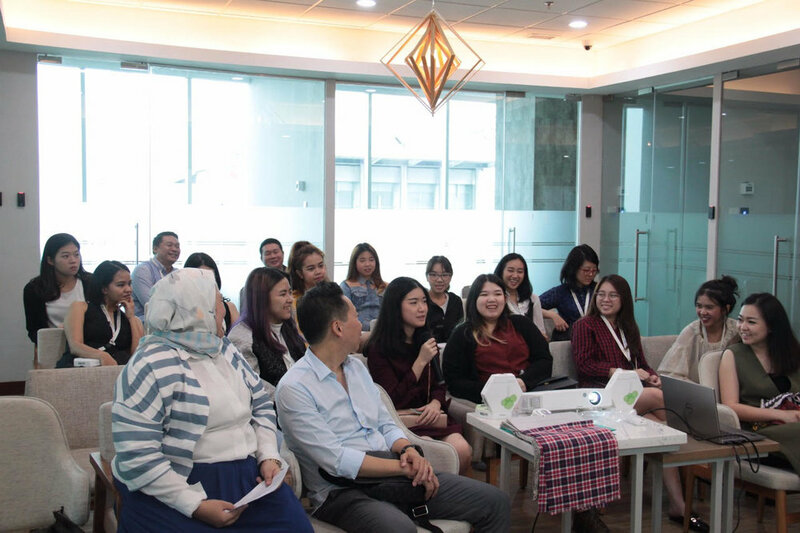 While most meeting rooms in Jakarta usually provides basic presentation equipment such as LCD screen, whiteboard and refreshments, some meeting rooms in Jakarta might charge an additional fee for these services. If you are holding your meeting at a business center or coworking space in Jakarta, be sure to ask if you and your attendees are entitled to use the coworking space and other business center facilities (printer, scanner etc) before and after your meeting. For instance, at Avenue8, all of our meeting room clients gets free coworking passes that they can use before or after the meeting. Be careful of hidden charges! Some meeting room providers will only provide basic presentation materials, and charge an additional fee for other special requests. For instance, the meeting room provider might charge an additional projector screen, infocus, mic, extra chairs, free flow drinks, and more . Be sure to double check with the management before making these requests—You don’t want to be shocked when you receive the bill at the end of your meeting! What happens if your meeting goes on longer than expected? Sometimes it’s difficult to predict how long a meeting will run. So what happens if you need the meeting room for just a little bit longer? Some meeting venues are flexible about overtime charges — you can simply pay the additional hours used at the end of your meeting. However, some meeting rooms are not flexible at all! Some meeting room providers might politely ask you to vacate the meeting room at the end of the booking time, or maybe impose a hefty overtime charge. If there is a chance that your meeting might run overtime, be sure to check what the overtime policy is! Does the meeting room provide an appropriate ambiance for your meeting? It is important to ensure that the ambiance in your chosen meeting room venue is appropriate for the theme of your meeting. For example, if you are meeting with an investor or an important client, choose a meeting room that exudes more maturity and professionalism as opposed to a meeting room that has a playful theme or is more catered to millennials. If you are holding an offsite working meeting with your team, choose a meeting room that has plenty natural lighting so as to give the team a productivity boost. Choosing the appropriate ambiance for your meeting will certainly help to reach the objective of your meeting. While this is not a problem for meeting room venues that are located in office buildings or hotels, some coworking spaces that are not located inside office buildings might have limited parking. Be sure to double check with your provider about where you and your guests can park; the last thing you want is to be late to your own meeting because parking is not easily available. Here at Avenue8, we strive to bring 5* experience to the workplace. We have a range of versatile meeting rooms and flexible meeting room plans to suit your ever changing needs and budget. Contact us today to see how we can help you with your meeting needs! Many people will immediately think of hotels when renting meeting room and event space in Jakarta. Renting meeting room and event space from hotels can be costly. However, all hope is not lost! Coworking spaces in Jakarta can also provide a luxurious, professional yet affordable options for meeting room and event space. Located conveniently along Jl Wahid Hasyim in the prestigious neighborhood of Menteng Central Jakarta, Avenue8 provides a number of meeting room and event space options to meet your budget. Description: This versatile meeting room is Avenue8’s latest meeting room. With high floor-to-ceiling whiteboards, this meeting room is best used for small team meetings, focus group discussions, and more. Description: Holding a small class or a seminar? Then this is meeting room layout is the one for you. This layout can comfortably hold 16-20 attendees. Need extra presentation materials like projector, infocus, or mic? Simply ask our friendly team members, and it will be provided to you free of charge! Description: This meeting room is certainly our members’ favorite! This meeting room combines the clean lines of Scandinavian design with Indonesian wooden flair to create a cozy yet professional ambience for your meetings. With floor-to-ceiling windows and a full view of Jakarta CBD, this is definitely a meeting room to impress. This meeting room is most suitable for client meetings and presentations, full day meetings, team offsite meetings, and more! Description: This versatile event space is none other than our coworking area/lounge. Surrounded by full glass partitions, meeting attendees can enjoy full views of the Jakarta CBD skyline during the event. This event space is most suitable for community events, workshops, seminars, and more. Clients that have used this event space includes: Qwikwire, Algoritma, Komunolog, Indostarter, Rintisan, Sleekr, Jurnal, AUG Consulting, and more. Description: Holding a bigger workshop that Meeting Room A cannot accomodate? Then this event space layout is for you. This event space layout can comfortably hold 25-30 attendees. With the abundant natural lighting, your event attendees will also enjoy a productivity boost while enjoying the view of Jakarta Skyline . Don’t see your desired meeting room layout? Our event space and meeting rooms layout can be further customized to meet your unique requirements (focus group discussions, casting call, you name it!). Do not hesitate to contact our friendly team members and we will try our best to accomodate your needs. Contact us today to book your meeting room! Sebagai konsumen, sudah selayaknya penggunaan jasa sewa meeting room Jakarta ini anda maksimalkan sebisa mungkin. Misalnya untuk sewa meeting room Jakarta, anda sangat disarankan untuk memilih di lokasi yang strategis atau pusat bisnis, contohnya adalah Avenue8 Offices dengan pilihan fasilitas event space, meeting room, coworking space Jakarta Pusat atau Menteng yang sangat ideal. Selain itu, anda juga berhak untuk mendapatkan jaminan pelayanan mutu dengan standar tertinggi. Di Avenue8 sendiri, ada 3 elemen yang ditawarkan dan menjadikan kami paling berbeda diantara kompetitor serupa. Penasaran dengan pelayanan ekstra si Avenue8? Baca selengkapnya berikut ini. Terletak di kawasan prestisius Menteng, tepatnya di KH Wahid Hasyim, Avenue8 Offices menyediakan serangkaian pilihan sewa event space sesuai kebutuhan personal anda. Diantaranya adalah private office yang ditata dengan furnitur dan perlengkapan kantor modern ergonomis, kabinet loker dengan kunci, sambungan telpon dan masih banyak lagi. Fasilitas private office ini sangat cocok untuk operasional perusahaan seperti startup, UKM, branding atau digital firm, yang mengutamakan ketenangan dalam bekerja. Berbeda lagi dengan coworking space dengan konsep akses bersama. Kendati demikianpun, coworking space Avenue8 juga terbadi menjadi 2 bagian, yaitu area lounge dan area khusus. Walau bisa diakses secara umum, kedua area ini juga disekat secara proporsional sehingga memberikan cukup privasi bagi kelompok yang berbeda. Sedangkan meeting room Avenue8 juga memberikan fasilitas yang nyaman, lengkap, dan modern. Baik untuk meeting internal ataupun dengan klien, meeting room kami memberikan suasana santai yang profesional dan berkelas dengan nilai privasi tinggi. Tiap ruang di Avenue8 didesain secara digital dengan menggunakan akses kartu untuk keluar masuk ke dalam ruangan. Sadar akan pentingnya keamanan data anda, fitur ini khusus kami hadirkan untuk memberikan ketenangan dan proteksi penuh setiap klien kami. Para member khusus untuk private offices dapat menggunakan Avenue8 selama 24/7 tanpa batas dengan didukung kecepatan Wi-Fi untuk mengakses internet dan memudahkan mereka dalam bekerja. Dilengkapi dengan staf sekuriti dan CCTV, operasional dan rutinitas Avenue8 memberikan jaminan keamanan yang tiada duanya. Avenue8 adalah serviced office pertama yang memberikan layanan concierge ke semua member. Layaknya layanan concierge di hotel bertaraf internasional, staff concierge disediakan secara gratis untuk mendukung operasional klien kami. Walaupun servis concierge Avenue8 hanya dalam skala kecil, seperti penyeduhan minuman secara rutin, memfasilitasi kebutuhan print, scan atau copy dokumen, hingga reservasi restoran, booking tiket, airport shuttle dsbnya, hal ini sudah terbukti sangat membantu keseluruhan operasional klien secara signifikan. Layanan concierge ini juga tidak terbatas pada pelayanan sepele saja, karena kami siap melayani request tertentu sesuai dengan kapasitas concierge yang tersedia, termasuk mengorganisir event atau sesi meeting, membantu pengiriman paket atau dokumen, dsbnya. Bahkan, layanan concierge Avenue8 juga berlaku untuk seluruh klien kami, termasuk jika anda hanya sewa meeting room untuk 1 jam saja! Selain itu masih ada layanan ekstra seperti konsultasi legal gratis bagi tenant khusus, layanan Loopspace yaitu akses gratis ke hingga 178+ coworking space di berbagai belahan dunia, cafe, pantry dan masih banyak lagi. Jadi, jika anda membutuhkan serviced office, coworking space, virtual office, meeting room dan event space Jakarta yang memang unik, berbeda dan punya ciri personalisasi, Avenue8 adalah pilihan terbaik bagi anda. Saat berangkat kerja, anda mungkin sudah bersiap menaklukkan serangkaian daftar to-do. Tetapi kenyataannya, daftar pekerjaan anda malah bertambah panjang setiap akhir harinya. Bisa jadi, anda punya masalah dengan produktivitas kerja! Menurut profesor ahli syaraf Earl K Miller dari Picower Institute for Learning and Memory, Massachusetts Institute of Technology, “ Multitasking adalah hal yang mustahil bagi manusia”. Setiap orang memiliki batasan kognitif yang berbeda-beda, yaitu jumlah pikiran dan daya ingat yang bisa ditampung pada saat bersamaan. Anda mungkin tergoda untuk melakukan banyak hal sekaligus karena yakin akan kemampuan diri, akan tetapi mengerjakan banyak hal sekaligus malah akan menguras lebih banyak usaha dan waktu - dengan hasil yang tidak maksimal pula. Kemampuan anda untuk produktif tergantung pada seberapa baiknya fokus anda pada satu hal di waktu yang bersamaan, baik 5 menit ataupun 1 jam. Jadi, lupakan multitasking dan saatnya fokus penyelesaian satu masalah saja. Studi menunjukkan kalau istirahat secara rutin bisa meningkatkan konsentrasi dan memperbaiki mood kerja. Ini sebabnya lingkungan kerja dengan desain yang menenangkan dan terstruktur dengan baik punya manfaat yang besar untuk kesehatan mental anda. Di Avenue8, desain ruangan kantor selalu dilengkapi dengan fitur relaksasi yang tetap punya fungsional tinggi. Hal ini sengaja kami hadirkan karena tahu pentingnya lingkungan kerja yang menunjang perfoma maksimal anda. Siapapun akan merasa kewalahan saat dihadapkan dengan target tahunan atau serangkaian proyek yang sudah mengantri. Kunci dalam meningkatkan produktivitas adalah mengambil pendekatan kerja yang bersifat pendek atau kecil, misalnya fokus pada target-target kecil selama jangka pendek. Contoh : atur jadwal meeting klien, melihat sampel, dan aktivitas kecil harian secara pasti dalam agenda anda. Ini akan lebih efektif dan produktif daripada hanya memikirkan capai target saja tanpa ada langkah kecil yang pasti. Pada saat energi dan stamina anda masih prima, biasanya pada saat baru tiba di ruang kerja, coba langsung selesaikan tugas terberat yang ada. Ini akan lebih produktif daripada menunda-nunda atau menyelesaikan pekerjaan terbesar itu di penghujung hari, yang mana stamina anda sudah terkuras karena mengerjakan banyak aktivitas lain sebelumnya. Atau jika anda lebih bersemangat bekerja pada saat suasana kantor sudah kosong, maka tidak ada salahnya menjadwalkan tugas tersebut sebagai pelengkap hari sukses dan produktif anda di kantor. Menurut pengusaha dan kontributor Forbes, Steve Olenski , aturan 2 menit bisa jadi solusi terbaik untuk hari yang penuh produktivitas. Caranya adalah jika ada pekerjaan yang bisa diselesaikan dalam waktu 2 menit atau kurang, segera kerjakan saat itu juga. Menurutnya, ini akan membentuk kebiasaan baik untuk menyingkirkan hal-hal kecil daripada menumpuk tugas dan kembali untuk menyelesaikannya. Dengan tips mudah ini, tidak heran jika Olensky sendiri adalah salah satu strategis konten online yang paling berpengaruh di bidangnya. Nah, siap untuk meningkatkan produktivitas kerja pribadi anda? Gunakan tips mudah untuk meningkatkan produktivitas kerja anda, dimana saja kapan saja - termasuk di Avenue8 yaitu fasilitas serviced office/ coworking space di Menteng Jakarta yang berkualitas dan berfasilitas lengkap. 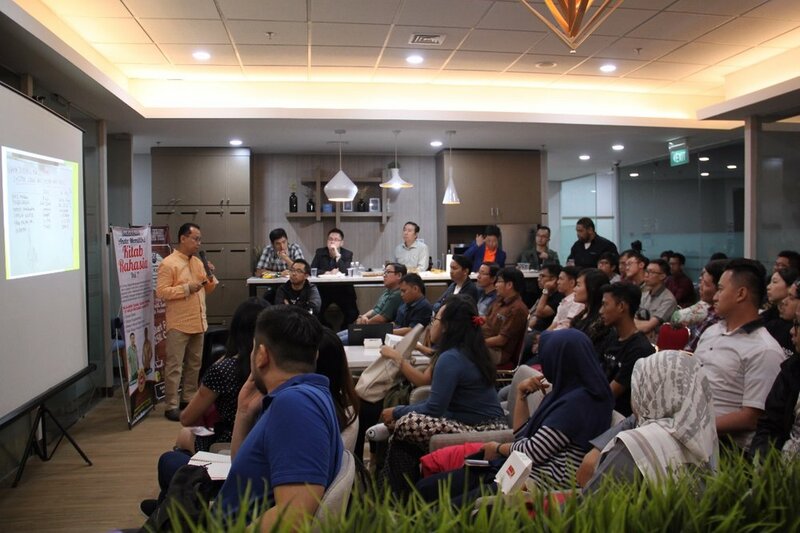 Sebagai salah satu penyedia layanan serviced office, coworking space, meeting room, dan event space di Jakarta, tepatnya di KH Wahid Hasyim, Avenue8 Offices adalah pilihan terbaik untuk seluruh kebutuhan pekerjaan dan kolaborasi anda. Jika anda sedang mencari sewa meeting room, serviced office, coworking space, virtual office, dan semua solusi event space Jakarta - Avenue8 Offices jawabannya. Membawa pelayanan terbaik di kelasnya, Avenue8 Offices tidak hanya fokus pada penyediaan event space Jakarta saja. Tetapi, kami juga memprioritaskan fitur-fitur tambahan demi pelayanan sewa event space Jakarta pusat yang paling memuaskan bagi anda. Mengorganisir meeting atau event di ruangan yang anda sewa. Membantu pengiriman paket atau dokumen. Memfasilitasi kebutuhan cetak, scan dan fotokopi dokumen. Layanan Concierge Avenue8 juga tidak terbatas pada servis yang tertera diatas dan berlaku untuk seluruh klien kami, termasuk jika anda hanya sewa meeting room untuk 1 jam saja! Konsultasikan seluruh kebutuhan sewa meeting room anda dan kami akan mengupayakan solusi terbaik sesuai kapasitas concierge yang tersedia. Satu lagi layanan gratis dari Avenue8 untuk seluruh klien serviced office, coworking space, dan virtual office adalah konsultasi hukum gratis dengan mitra Avenue8, Legalgo. Sering dalam operasional kantor, anda akan menemukan beberapa masalah yang bersinggungan dengan peraturan atau kebijakan UU pemerintahan. Jangan khawatir, karena mitra Avenue8, Legalgo, dapat menawarkan jasa konsultasi legal secara gratis* dan juga penawaran harga terbaik untuk layanan jasa konsultasi legal yang lebih kompleks. Berupa Priority Pass yang memudahkan kolaborasi dengan siapapun yang anda butuh, Avenue8 Offices juga memberikan akses gratis ke hingga 178+ coworking space di berbagai belahan dunia. Tergabung dalam komunitas Loopspace, anda punya kemudahan untuk melakukan perjalanan bisnis sembari bekerja kemanapun anda pergi. Mengusung konsep relaksasi ala cafe, Avenue8 Offices juga telah dilengkapi dengan variasi menu makanan ringan dan minuman yang kian menggenjot produktivitas anda, seperti Espresso, Latte, Macchiato, variasi teh dan masih banyak lagi. Menggabungkan fasilitas concierge, ini berarti anda juga bisa menikmati penyeduhan teh dan kopi setiap paginya. Baik untuk dinikmati oleh anda atau tamu, hubungi langsung Avenue8 untuk akses terbaik ini. Nikmati Private Office, Lounge, meeting room & coworking space yang sudah dilengkapi dengan akses digital yang serba aman dan nyaman. Seluruh area kami juga sudah menggunakan high speed Wi-fi demi kemudahan pekerjaan anda setiap saat. Jika anda membutuhkan ruangan umum yang sedang kosong untuk kebutuhan kerja anda secara mendadak atau , Avenue8 akan mampu mengakomodasi sesuai privasi dan kebutuhan anda setelah konsultasi terlebih dahulu. Percayakan seluruh kebutuhan sewa meeting room, coworking space, serviced office, dan event space di kawasan Jakarta Pusat, hanya kepada Avenue8 Offices. Kami siap menjawab tantangan dan memberikan solusi layanan sewa event space Jakarta terbaik untuk anda! Desain interior yang apik akan mendukung suasana dan produktivitas kerja. Setuju? Sebuah studi membuktikan bahwa detil-detil dari sebuah ruangan kerja penting bagi produktivitas karyawannya. Penataan ruangan, furnitur, pencahayaan, suara dan berbagai elemen interiornya punya efek terhadap kinerja karyawan, termasuk juga desain interior. Di Avenue8 Offices sendiri, kami mengusung konsep desain interior Scandinavian yang menitikberatkan pada fungsionalitas dan suasana tenang yang penuh relaksasi. Untuk anda yang masih membutuhkan sewa ruang meeting Jakarta, coworking space Jakarta, atau sewa event space lainnya, simak dulu mengapa harus memilih Avenue8 Offices berikut desain Scandinavian yang serba nyaman. Dinding putih, lantai kayu, furnitur modern - ini hanyalah segelintir dari konsep desain interior Scandinavian pada umumnya. Desain interior Scandinavian adalah salah satu tema interior yang mulai mencuat di awal abad ke-21 dan banyak mendapatkan pengaruh dari desainer-desainer ternama di dunia, seperti Hans Wegner, Arne Jacobsen hingga Ingvar Kamprad - founder dari perusahaan furnitur raksasa IKEA. Secara tradisional, desain interior Scandinavian mengacu pada 3 ( tiga) negara Eropa yaitu Norwegia, Swedia dan Denmark. Di negara- negara ini, pergolakan revolusi pada akhir abad ke-19 mulai banyak mengarah ke modernisasi yang lebih mementingkan fungsionalitas sekaligus estetika. Pada saat bersamaan, desain interior Scandinavian juga mementingkan affordability alias pemilihan furnitur yang lebih terjangkau dan tidak bersifat luks. Oleh karena itu, desain interior Scandinavian lebih condong pada warna-warna netral, bahan yang bersifat alami dan praktis. Ini juga erat kaitannya dengan musim dingin yang panjang dan kelam di negara Eropa tersebut, sehingga pemilihan lebih diprioritaskan pada warna-warna yang cerah dan penuh kehangatan. Hingga kini, desain interior Scandinavian yang nyaman, modern dan juga minimalis kian digandrungi oleh peminat interior di belahan dunia manapun. Avenue8 Offices sendiri memilih tema Scandinavian yang mendominasi seluruh ruangan kami secara elegan. 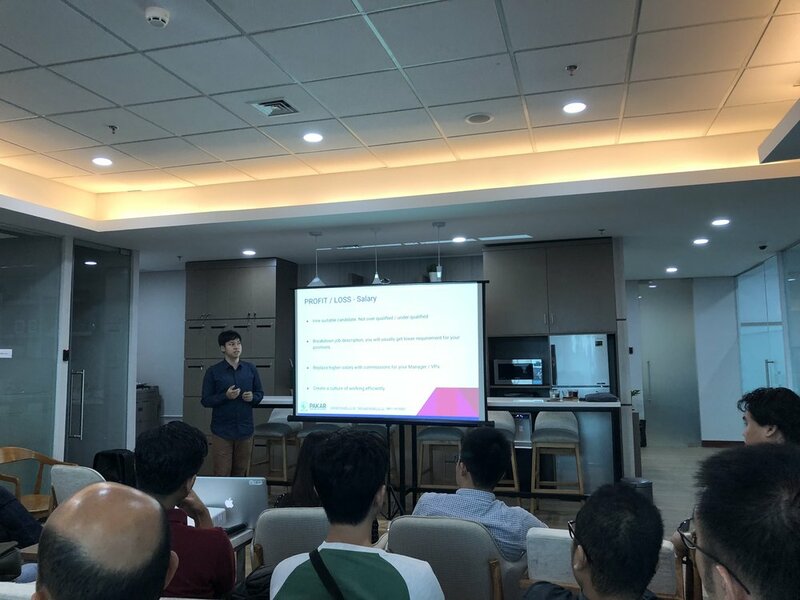 Pemilihan palet warna yang kalem, pencahayaan yang lembut, suasana kerja yang nyaman, semuanya dihadirkan di Avenue 8 Offices untuk memaksimalkan performa dan produktivitas kerja anda secara maksimal. Desain interior Scandinavian bukan hanya persoalan tata letak ruangan, tetapi juga modernitas secara total. Seluruh desain kantor Avenue8 tertata rapi dengan meja dan bangku yang nyaman, sambungan telpon, kabel listrik, laci penyimpanan dan sistem kontrol akses yang canggih. Ini sejalan dengan tema Scandinavian yang menyukai efisiensi dan kepraktisan modern. Untuk kebutuhan pekerjaan modern seperti startup digital hingga UKM lainnya, Avenue8 akan mampu menjawab kebutuhan modern office secara instan. Menggunakan bahan-bahan alami dari pengerjaan lokal yang penuh kehati-hatian, Avenue8 Offices menghadirkan nuansa natural yang baik untuk stimulasi, motivasi sekaligus inspirasi pekerjaan anda. Pemilihan warna netral dan pencahayaan putih juga akan punya dampak positif terhadap performa kerja, terutama untuk meningkatkan kesadaran. Tak lupa, di setiap sudut Avenue8 juga sering hadir tanaman hijau untuk sensasi alam yang penuh kehangatan. Tidak ada lagi istilah sumpek saat bekerja berkat tema interior Scandinavian dari Avenue8. Anda tidak selalu harus membutuhkan ruang yang besar untuk sewa event space atau coworking space anda. Dengan tema interior Scandinavian, hal terpenting adalah penataan ruangan yang paling tepat dan ideal. Ruangan yang sama bisa akan terasa lebih maksimal, luas dan leluasa berkat pemilihan tema interior desain Scandinavian. Di Avenue8 sendiri, furnitur yang fungsional akan hadir dalam berbagai variasi dan layout, misalnya rak dinding untuk storage, partisi yang fluid, kabinet berkapasitas maksimal, hingga penataan ruangan dengan setiap detail yang tidak sia-sia. Hal yang terpenting dalam pemilihan interior desain Scandinavian di Avenue8 adalah kualitas yang berbanding dengan harga. Dengan inspirasi furnitur dan elemen Scandinavian, kami mampu menghadirkan ruangan serviced office, coworking space, meeting room, lounge dan banyak lagi tanpa harus menguras banyak biaya atau mengorbankan kualitas sama sekali. Desain interior Scandinavian juga tidak membutuhkan perawatan mahal seperti material bangunan luks lainnya, namun bisa memberikan manfaat yang lebih ekstra bagi penggunanya. Oleh karena itu, tidak heran jika Avenue8 mampu memberikan harga pelayanan yang paling bersaing di kelasnya, yaitu dimulai dari Rp 150.000/ hari saja dengan seluruh fasilitas yang ada tanpa membebani klien kami. Ingin menikmati office space modern, minimalis dan penuh produktivitas ala desain interior Scandinavian? Hubungi kami sekarang juga untuk memilih office space, coworking space, meeting room atau event space paling sesuai kebutuhan anda. Ingin menyewa Meeting Room di Jakarta Pusat? Disini Tempatnya! Menyelenggarakan meeting atau training memang butuh persiapan yang matang dan detail. Baik skala kecil maupun besar, tidak ada yang lebih mengesankan daripada melihat event yang Anda buat berjalan lancar sampai akhir. Di tengah banyaknya persewaan meeting room di Jakarta, Avenue8 menjadi salah satu yang memiliki one-stop-solution untuk berbagai meeting kantor, seminar, maupun training di daerah Wahid Hasyim Menteng. Menteng merupakan pusat administrasi dan jantung bisnis di Jakarta Pusat. Area ini sangat ideal untuk menyelenggarakan berbagai meeting internal maupun external berkat berbagai kemudahan transportasinya. Tamu Anda dapat dengan mudah mencapai lokasi dan acara pun dapat berlangsung tepat waktu. Fasilitas meeting di coworking space dan service office sudah tidak kalah lengkap dan mewah dengan hotel loh! Avenue8 tidak hanya menyediakan ruang meeting yang nyaman, tapi juga menyediakan fasilitas dan perangkat meeting yang lengkap. Mulai dari flip chart, screen projector, LCD screen, hingga sound system – Anda dapat langsung meminta kebutuhan peralatan teknis ini untuk disediakan saat acara berlangsung tanpa biaya tambahan. Anda dapat request untuk menata ruangan seminar sesuai dengan format event Anda. Apakah seating melingkar layaknya boardroom atau acara berformat seminar dengan kursi berjejer? Tata letaknya bisa di custom sesuai dengan format yang Anda inginkan. Mempersiapkan meeting bisa sangat merepotkan. Avenue8 telah mempertimbangkan hal tersebut dan memberikan layanan event organizing untuk setiap penyewa event space dan meeting room. Anda tak perlu khawatir untuk mempersiapkan acara kantor karena pihak pengelola menyediakan bantuan administratif dan organizing untuk event Anda. Office space yang nyaman ini dapat Anda pesan dengan atau tanpa konsumsi. Pilihan yang tersedia pun banyak, mulai dari coffee break, snack box hingga paket gourmet untuk tamu-tamu Anda. Tak hanya trendy, berbagai serviced office dan coworking space di Jakarta memiliki segudang manfaat yang dapat menunjang pekerjaan maupun bisnis yang sedang Anda bangun. Sebagai tempat terkemuka untuk sewa meeting room, serviced office juga mampu memberikan layanan ala hotel bintang 5 dan tetap fleksibel dalam pelayanannya. Apa saja kelebihan dari mengadakan meeting di serviced office bila dibandingkan venue tradisional seperti hotel dan function hall? Di Avenue8, kami dapat melayani meeting mulai dari 1 jam saja sampai dengan sehari penuh. Paket sewa meeting room di Avenue8 juga sudah mencakup berbagai kebutuhan client kami, dari penggunaan internet hingga free flow minuman selama rapat, tanpa hidden cost lainnya. Anda juga dapat meminjam perangkat presentasi dengan cuma-cuma. Serviced office seperti Avenue8 memberikan kemudahan untuk Anda yang akan mengadakan meeting ataupun events. Dari paket yang lebih flexible dalam segi jumlah peserta, layout meeting room dan events space di Avenue8 juga dapat disesuaikan dengan kebutuhan anda. Anda juga mendapatkan akses gratis ke business center Avenue8 sebelum dan setelah meeting. Pengguna meeting room di Avenue8 juga dapat menggunakan layanan Concierge yang kami sediakan. Para pebisnis yang menyewa ruang meeting di Avenue8 dapat menikmati berbagai layanan Concierge ala hotel bintang 5. Tim kami dapat membantu anda untuk melakukan tugas-tugas kecil (seperti membeli makan siang, menyiapkan kopi dll) agar anda bisa focus sepenuhnya dengan meeting anda. Saat ini, ada banyak serviced office di Jakarta yang memiliki keunggulan dari segi desain. Mengapa desain dalam sebuah Serviced Office itu penting? Karena kenyamanan dapat meningkatkan produktifitas. Tema-tema interior bergaya Scandinavian yang trendi serta kursi yang empuk dan tempat yang nyaman dapat membuat siapa saja betah di dalam ruangan. Apalagi jika ditata dengan mempertimbangkan estetika dan keasrian, sebuah meeting room bisa membawa suasana outdoor ke dalam ruang indoor. Mengadakan rapat di Serviced Office membuka peluang Anda untuk bertemu tenant lain dan melakukan kerjasama di kemudian hari. Artinya, kreatifitas tidak berhenti di meja Anda namun Anda dapat memiliki kesempatan untuk bertukar pikiran dengan bisnis lain dan menemukan ide-ide baru. Ini merupakan salah satu dari banyak kelebihan sewa ruang meeting di Serviced Office jika dibandingkan dengan meeting di hotel. Saat kita Googling ‘sewa kantor Jakarta’ pasti ada banyak pilihan tempat yang muncul pada layar Anda. Jangan bingung dulu! Beberapa pertanyaan berikut ini dapat membantu Anda mempersempit pilihan dan menemukan kantor yang paling tepat untuk keperluan bisnis Anda! 1. Apa saja kebutuhan kantor Anda? Sebelum memutuskan untuk menyewa kantor, ada baiknya Anda menentukan terlebih dahulu apa yang Anda butuhkan. Contohnya, jika perusahaan anda sedang berkembang pesat, apakah kantor yang anda pilih mempunyai sarana untuk memicu group discussions seperti meeting room dan breakout area ? Jika Anda seorang freelancer yang membutuhkan ruangan yang lebih private, apakah kantor tersebut menyediakan solusi yang ekonomis untuk pola kerja anda? Apakah serviced office tersebut menyediakan layanan khusus untuk penyewa, seperti layanan concierge, konsultasi hukum, ataupun administrasi? Boleh dibilang, sewa kantor di Jakarta itu hampir mirip dengan mencari hotel untuk menginap saat liburan. Pastinya, fasilitas menentukan kenyamanan dalam bekerja. Anda bisa mencari informasi tentang layanan yang diberikan oleh pengelola. Misalnya, apakah menyediakan WiFi gratis dan akses telepon? Apakah ada layanan untuk memesan snack atau makan siang? Bagaimana dengan kopi atau teh? Apakah ruangan dibersihkan setiap hari? Apakah ada akses ke coworking space lainnya? Pertanyaan di atas kesannya sepele namun bisa menjadi faktor penting agar seseorang tetap produktif. Anda bisa membuat daftar fasilitas yang ingin Anda dapatkan dan menanyakannya sebelum memutuskan untuk menyewa kantor tersebut. 3. Bagaimana dengan lingkungan kantor? Jika mayoritas karyawan Anda adalah millennial, kantor dengan interior yang jadul dan meja-meja berhimpitan sempit sudah tak bisa lagi mengakomodasi ide-ide cemerlang mereka. Tren desain interior seperti minimalis dan Scandinavian sangat beriringan dengan tren corporate culture era digital yang mengedepankan suasana kerja casual dan cozy. Meski hanya sewa kantor, pastikan Anda juga menyukai lingkungan yang ditawarkan karena mayoritas waktu Anda akan dihabiskan di sana. Lingkungan yang asri penuh dengan taman bisa menyegarkan pikiran sekaligus tempat yang nyaman untuk berdiskusi dan menemukan solusi. Atau, jika Anda senang dengan suasana kota, Anda bisa menyewa kantor di gedung tinggi dengan teras menghadap pemandangan kota. Budget yang mepet tidak lagi menjadi halangan untuk menyewa kantor atau meeting room Jakarta. Ada banyak serviced office dan coworking space di Jakarta yang menyediakan paket-paket menarik asalkan Anda jeli melihat peluangnya. Ada coworking space yang memperbolehkan Anda memakai ruang meeting secara gratis karena sudah termasuk paket. Ada juga serviced office Jakarta yang menyediakan admin untuk meng-handle telepon dan email yang masuk dengan tambahan biaya. Jadi, sebelum Anda memutuskan untuk sewa kantor, pastikan Anda menanyakan biaya-biaya apa saja yang harus Anda keluarkan dan jangan sampai ada biaya tersembunyi yang tidak Anda ketahui sebelumnya. Thanks to the development of technology and flexible use of social media, it is not necessary for people to sit down at their office cubicles to get their work done. However, some people cannot work in a café or at home probably because the noise is too loud or they simply cannot focus. Preleasing rates available! Contact us at (021) 50200889 or info@avenue8offices.com for more information. Bagi kamu para pemilik bisnis, seminar ini sangat cocok sekali loh! Dalam seminar ini, pemilik bisnis diajarkan bagaimana menghindari permasalahan finansial. Finansial menjadi sangat beresiko jika para pemilik bisnis tidak mengetahui bagaimana mengelola finansial. Disini kamu akan berbagi pengalaman dengan ahlinya. Dari cara mengelola keuangan sampai menghindari pemilik bisnis dari kerugian.